Activision’s second Call of Duty XP convention gave fans physical experiences with digital games, on top of a live tournament and hands-on play. It’s one of the biggest misconceptions about gamers. That they’re solitary creatures who prefer communicating via headsets and through screens rather than in person or as a community. That they’re too young to have an impact on the market. And then there’s that pesky little over-arching belief: that gaming is, quite simply, a hobby. Fact is, gamers are hungry for live interaction. Always have been. While it may seem like a modern phenomenon, live gaming events and tournaments date back to the 1970s. Among the first documented events: a competition at Stanford University in 1972 featuring the game Spacewar. The prize: a year’s subscription to Rolling Stone. Another historical event, Space Invaders Championship by Atari in 1980, is credited with establishing competitive gaming as a real hobby. There’s that word hobby again. 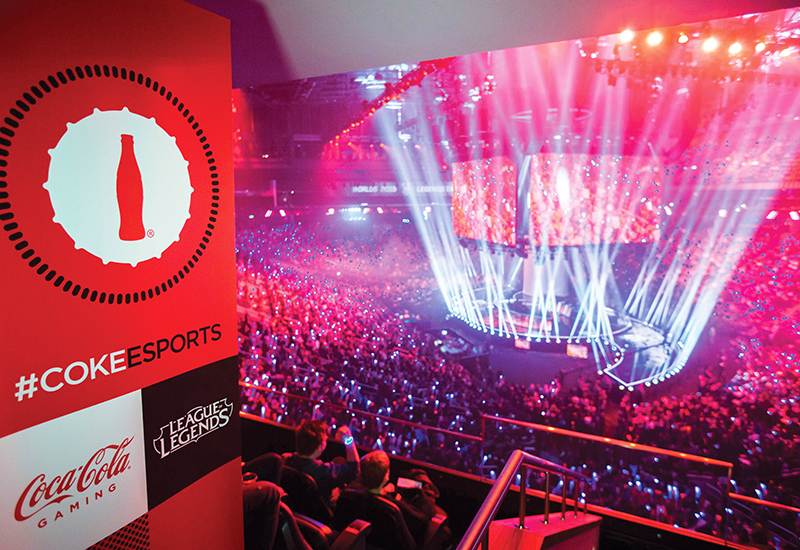 Like the mainstream sports realm, there is enormous value in esports today. According to esports research house Newzoo, esports revenues totaled $493 million in 2016 and are projected to rise 37 percent to $1.1 billion by 2019. 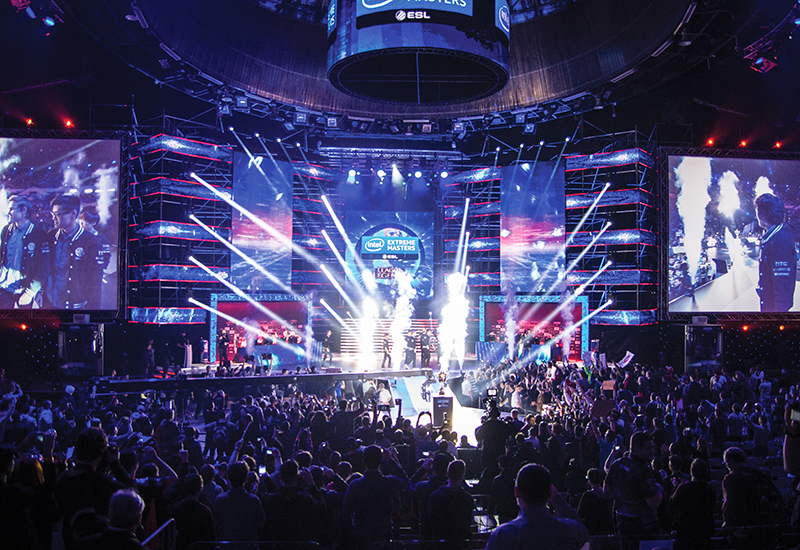 Global tournament Intel Extreme Masters attracts hundreds of thousands of fans worldwide—and many millions more online. And gamers? They’re an enticing demographic. On average, they’re 31 years old, but range from that digital native Gen Z generation on up to the older millennial generation. As a group, they’re 148 million strong, Newzoo says, and poised to rise to 215 million by 2019. They’re social, global and diverse. 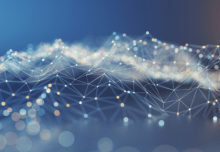 They’re also savvy and leverage methods like ad blockers, making them a not-so-easy-to-reach demo through traditional advertising and marketing. Which is why events have the leg up. Through live events and sponsorships, brands are earning the respect of brand-wary gamers by helping to elevate esports and activate that aspirational quality that makes esports so special. That means supplementing game-day action with giveaways and signage, supporting teams, helping gamers get better through hands-on play and training tools, fostering community and getting them closer to the games that they love. 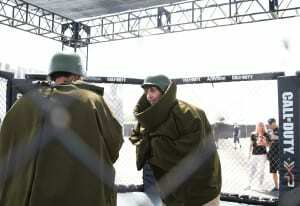 At Call of Duty XP, physical engagements brought themes from the franchise to life, like a paintball course, zombie laser tag and virtual reality experiences. A little more than five years ago, Activision’s Call of Duty World League’s first-ever Call of Duty XP convention stunned the event world with its digital + live strategy and experiential infusions that physically let gamers immerse themselves in the titles they love from the Call of Duty franchise. This past September, the second Call of Duty XP convention took place at The Forum in Inglewood, CA, with an elevated set of gaming fixings that made the first event such a success (and the best campaign of the year, earning EM’s Grand Ex award). Those fixings included live gameplay, including the Call of Duty Championship featuring 32 top Call of Duty teams from around the world (wrapping up the Call of Duty World League’s tournament season, which includes professional and amateur divisions). The prize pot was worth $2 million, double the prize pool of the first XP event. The event also featured a product reveal for the upcoming title Call of Duty: Infinite Warfare. 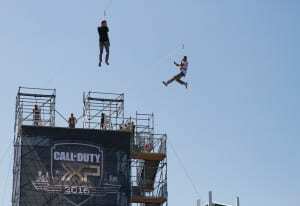 Physical engagements brought themes from Call of Duty titles to life, like a paintball course that replicated “Nuketown” in Call of Duty: Black Ops titles, zombie laser tag (a theme from Call of Duty: Black Ops III) and a zip line, as well as hands-on gameplay and experiences with virtual reality content. Performances by gamers and rap stars Snoop Dogg and Wiz Khalifa rounded out the event (NCompass International, Los Angeles, handles). On the broadcast side, Activision has transformed its live event streams with digital tools and models, much like you would see viewing a mainstream sport on your TV, making it easier for fans (especially new fans) to follow along. It’s one of the ways the sport has evolved. “A few years ago it was just players at tables and a fixed camera situated watching them, and we’ve personally done a good job of upping our focus on what the broadcast piece of this is and how do we create content that lets an audience follow along in the way that they do with a physical sport,” Murnane says. Intel Extreme Masters is the longest running esport tournament in the world, put on by ESL (Electronic Sports League) and Intel since 2006. The cities change each year, with this season of IEM taking place in Shanghai, Oakland, Gyeonggi, South Korea and Katowice, Poland. Poland is Intel’s biggest event, in 2016 boasting 115,000 attendees. At the time, it was reported as the largest single esport event in the world. The Katowice event, which took place over two weekends Feb. 25-26 and March 3-5, stretches from an arena that holds 12,000 fans to an expo convention center with multiple stages and thousands of more seats, and more than 20 exhibiting partners. 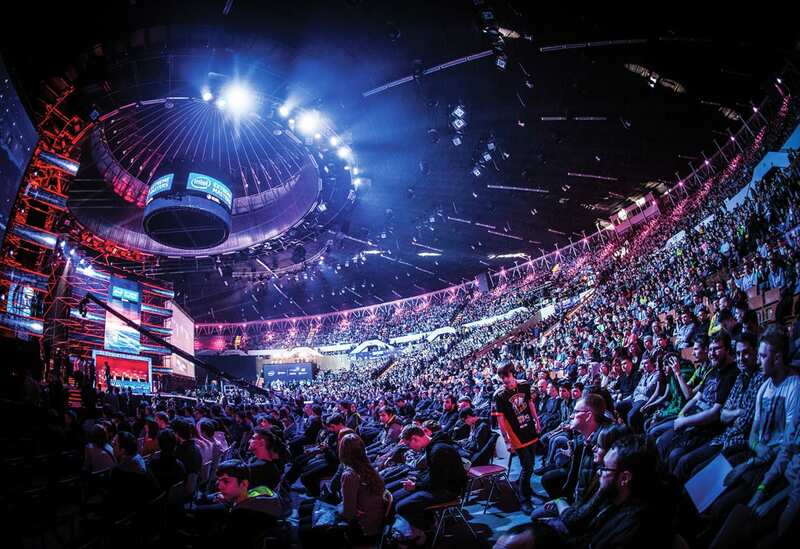 Intel Extreme Masters is the longest running esport tournament in the world, put on by ESL and Intel since 2006. For Intel, the property (which is game publisher agnostic) presents an opportunity to showcase its innovations and solutions for gamers in a relevant, authentic setting. At IEM Oakland in California last November at Oracle Arena, Intel created product suites for gamers to demo on the arena floor and also activated experiences in virtual reality, a space that is expected to transform gaming. The Oakland matches were broadcast online to 360-degree viewers and VR headsets with SLIVER.tv, and attendees were able to view the live tournaments in VR on HTC Vive and Oculus Rift at viewing stations around the venue. Jaunt VR captured the experiences of players at IEM Oakland and chronicled their stories in an ongoing VR documentary, available through the Jaunt app on Oculus Rift and HTC Vive. This established global tournament series is attracting non-endemic sponsors like Totinos, which at IEM Oakland sampled the masses and activated two “bucking bull”-style red couches that challenged gamers to remain on the moving (spinning) devices while trying to play a video game. Comcast Xfinity also activated in Oakland, setting up live Skype chats in the partner concourse at the stadium between top gamers and fans passing by. The activation, as are all of its esports activations, was manned by Comcast employees who are avid gamers themselves. “A lot of these employees are very technical, they’re engineers, they know our products and understand how to use our products for gaming purposes, so they can really talk to the fans, and also converse about the actual competition or conference, so it’s just that much more authentic,” says Matt Lederer, svp-marketing communications and strategy at Comcast. Gillette in January announced it would be activating at IEM Katowice, Poland, offering grooming services to all competitors and giving fans and players the chance to customize their own 3D printed razor. Coca-Cola scaled its sponsorship of Riot Games’ League of Legends World Championships by hosting live viewing parties at cinemas all over the world. Through a partnership with Riot Games, publisher and owner of League of Legends, Coca-Cola activates at its tournaments at arenas across the country, offering “additional value” to the fans through commemorative cups, banners and athlete sponsorships, in addition to, of course, supplying its bubbly beverage. But a few years ago, Coca-Cola recognized and capitalized on a need among gamers. The big events, like League of Legends World Championships, have always taken place in a few big-city locations like Los Angeles and New York City, meaning many fans might never have the chance to experience the roar of the group viewing experience. That and the fact that scoring tickets to the championships is often not easy—in 2016 it sold out (15,000 tickets) in a few minutes. “That’s why we created this secondary experience with the viewing audience where we enable fans from all over the country, and even abroad, to have the chance to share a moment with other fans in a cinema, watching a live tournament,” says Alban Dechelotte, senior manager-entertainment marketing and head of esports at Coca-Cola. What started as a small test program evolved into a full-fledged effort, as Coca-Cola and Riot Games teamed up with cinema partners to host more than 200 simultaneous viewing parties on screens across the U.S., Europe and Canada of the League of Legends World Championships, which took place at the Staples Center in L.A. on Oct. 29. The ticketed cinema event (about $20) featured a high-definition satellite stream of the finals, plus live pre- and post-show coverage. Coca-Cola recreated the excitement and atmosphere of the stadium by handing out the same limited-edition cups and “thunder sticks” sold in the arena for the actual event (Havas Sports & Entertainment, New York City, handles). Additionally, Coke in the fall targeted college-aged gamers by partnering with EA Sports and FIFA to create a minor-league tournament called FIFA eCOPA Coca-Cola that allows amateur players to compete in their first gaming competition. The winner, a sophomore at Arizona State University, crowned in November at Microsoft’s esports studio in Manhattan, received a $5,000 scholarship and a wildcard berth in the EA Sports FIFA 17 Ultimate Team Regional Finals in March—a professional esporting event. “This is something we believe in, because again, it’s about access, it’s adding value, it’s allowing people to share in a dream,” Dechelotte says. As a high-speed internet provider, Comcast Xfinity’s official entry last summer into esports was a natural fit. Gamers need connections, but they also, if they’re young, could one day become customers—be it internet or video customers. Using lessons learned in its mainstream sports sponsorship programs, Comcast Xfinity went for “structure” with two partnerships. 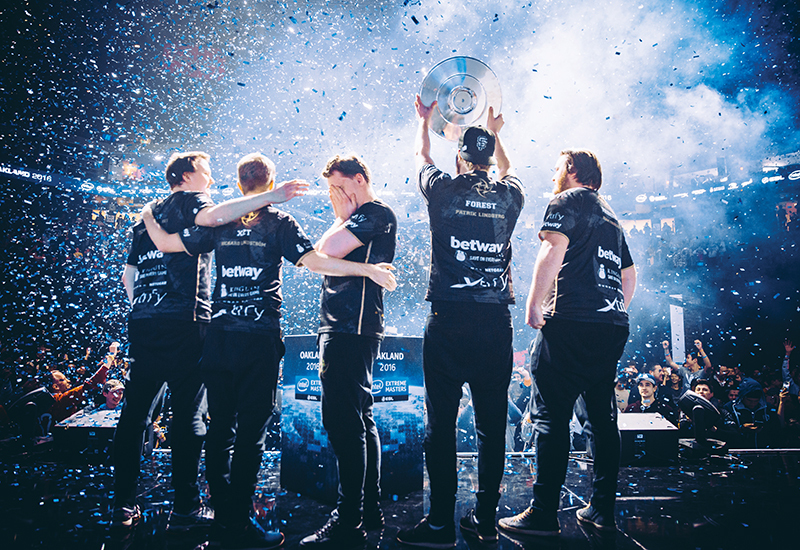 One with ESL, which gives the brand a game agnostic, team agnostic, league-level partnership and provides the brand more of a “traditional play” at media where it’s able to run digital advertising and branding. The other, a partnership with the gaming team Evil Geniuses, which is helping Comcast capture the “tune-in excitement” that fans have over their favorite teams. Evil Geniuses is a top team in the world and plays, practices and competes in two large Comcast markets—the Bay Area and Chicago (GMR Marketing, Chicago, handles). Comcast Xfinity captures “tune-in” excitement by sponsoring the esports team Evil Geniuses, and outfitting its training facilities with Xfinity internet and video products. 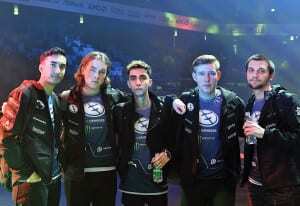 As part of its partnership with Evil Geniuses, Comcast Xfinity’s branding is featured on their jerseys. The brand sponsors the team’s training facilities, one in Bloomington, IL, and one in Alameda, CA, and has outfitted them with Gigabit Pro Internet service and the company’s video product, Xfinity X1. “What we like about that is the natural integration, so when esports players are speaking about your product and brand, if they’re actually living it and experiencing it, it’s more authentic and that’s really been the key lesson for us, and then we extend all of that to at-event,” Lederer says. You can’t talk about gaming, without talking about streamers—the millions of gamers who’ve helped build and strengthen the community by streaming their gameplay online, providing commentary, chatting with others and creating their own brands. And, many are getting paid well by advertisers to do it. The biggest player in gaming streaming platforms continues to be Twitch, which boasts 9 million daily visitors globally—about 100 million per month. But the platform has experienced great success with bringing that online viewing experience offline. “The live nature of Twitch makes it so much more of a social experience than traditional video sources, because when you’re watching content that’s live and you’re talking about it in a live setting with other people, you get a sense of active enjoyment and it really feels like you’re at the bar watching a game with friends. It feels natural to bring those people together in real life and create these opportunities for people to take their digital relationship and make it a live one,” says Nathan Lindberg, director-esports at Twitch. Twitch’s second TwitchCon convention, held last September in San Diego, attracted 41,000 attendees and 2.2 million viewers online. Twitch held its first TwitchCon in 2015, an interactive convention for broadcasters and viewers. Its second event, held in late September 2016 at the San Diego Convention Center, attracted 41,000 attendees and 2.2 million viewers online. 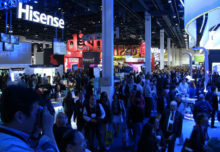 The convention offers networking, keynotes, educational sessions for streamers, an esports arena, charitable endeavors, technology demos from partners, product reveals and game publishers looking to connect their game with popular streamers—and potentially, the next esports star. 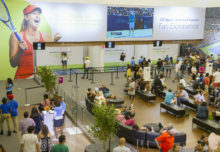 The convention also offers brand activation space. For the 2016 event, Bud Light activated a first-ever beer garden. Twitch also activates booths at large-scale gaming events, like PAX, E3 and Tokyo Game Show. And the portfolio gets bigger, as Twitch operates several esports league championship series, offering sponsorships for teams, jersey integrations, meet and greets and commercials. Through it all, Twitch stays close to what it calls a “Triple A” marketing approach, that Lindberg says brands looking to activate in the space should consider—authenticity, altruism and being “always on” by investing longterm in the space. Game changer? We think so. Coca-Cola adds value for fans at League of Legends tournaments through commemorative cups, banners, athlete sponsorships and, of course, its bubbly beverage.